It is always good to be a pleasant and understanding roommate and not trouble your roomie for simple things. Yes, we agree that being roommates, you would be inter-dependent and that there would be a healthy quid-pro-quo between you. And while they may seem unimportant, they help you build a relation that can later morph into sibling, family or more than that. So here’s seven tips to be a better roommate and have the time of your life living with someone in a sharing room. The important part of staying together is understanding the other person. Hence, understand your roomie’s habits and try to mould yourself accordingly so that you do not end up disturbing your roommate. Some of these acts may include: not playing music/talking loudly if your roommate is sleeping, using his/her possessions and returning it back as you would expect yours to be returned, not yelling at your roommate for unnecessary reasons, not shouting in the room, etc. This also helps in building a positive bond that lasts long. Another good way to be a better roommate is by showing some love and care for your roommate. If you are out to buy grocery, then ask him/her if he/she needs something and buy it for him/her. Another way is if you see that the things your roommate uses every time is over and that you are in the grocery shop, then buy it for your roommate. This will help in bonding with your roommate. Another good gesture is not to trouble your roommate by making him/her clean up after you. If you are moving things around, then keep them back to the place from where you took it out from. Keeping it here and there makes the room look scattered and this is something every other person entering the room hates. So stop being lazy about this and help your roommate by cleaning your own spills. Staying in sharing room for rent in Pune, there is a cleaning weekend, where the room is reorganized. Most of the times, it happens that only one person ends up cleaning and organizing the room, while the other sits lazily or sleeps. Avoid doing this and help your roommate with cleaning the room and reorganizing it so that you both or more people do not end up sleeping in a messy unclean room. If you both like a specific hobby, then you can bond over experiences and activities that will bring you closer to your roomie. Whether it is travelling or DIY, a partner in crime is all that we need and the moment we find one, an everlasting bond is formed easily. The best way to bond with your roommate is to do something that he/she loves to do. So plan a day or evening out with your roommate where you two or more can enjoy shopping, or a movie or a coffee or play or dance or do something else together. 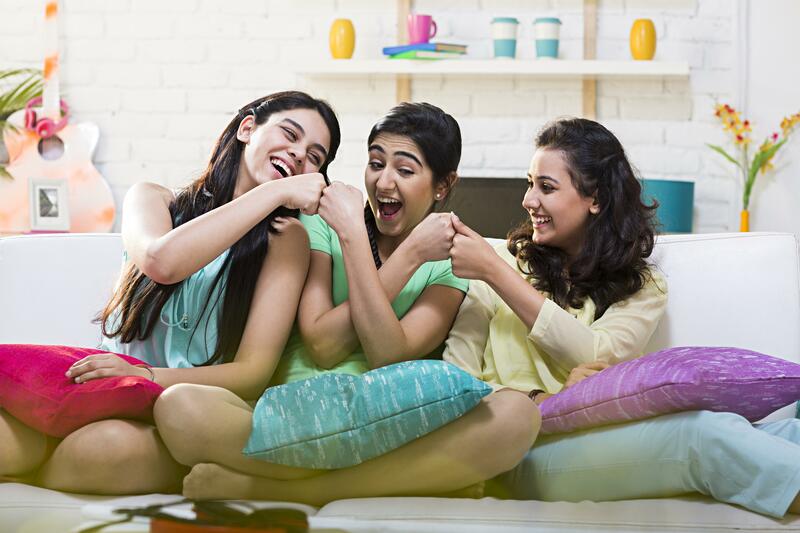 This helps in bonding with your roomie, keeping each other happy and creating good memories. When you share a home, the responsibilities need to be divided equally between the people living in the house. Don’t expect your roomie to do all the things themselves and lend a helping hand when needed so that there is no ill-will between you both.